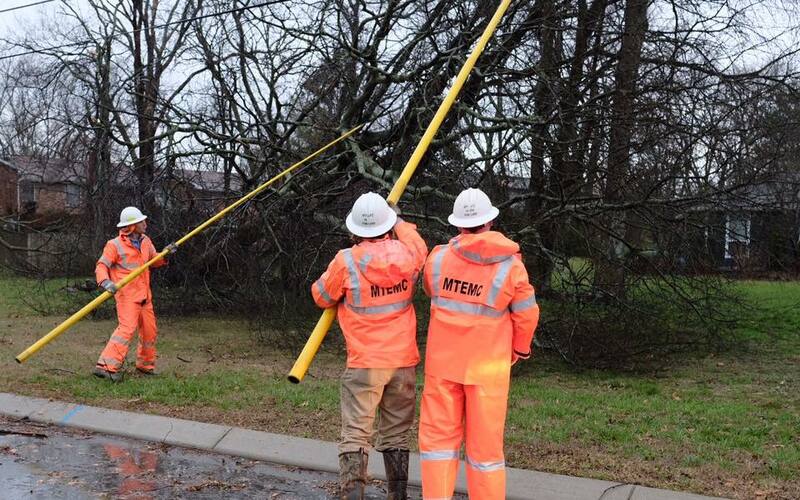 NASHVILLE – Storms that moved through the volunteer state overnight left more than 10,000 co-op members without power. Crews are working to restore service to all co-op members affected. Fewer than 500, down from near 10,000 earlier today. Six distribution poles down, and one transmission pole down. Wide spread outages. More than 5,000 members without power.